As long as the majority of Columbia’s and Barnard’s endowments are invested through private funds or investment entities, it is impossible to fully grasp the implications of our endowment investments. While Columbia has the distinction of being the first university in the country to divest from private prisons, this agreement to divest only specifies direct holdings. Columbia’s endowment could therefore still be profiting indirectly from controversial holdings in things like private prisons, by investing through private entities that are not required to disclose their asset holdings. University endowments commonly hold these riskier investments in hopes of producing larger returns, but the practice also dilutes universities’ divestment commitments. Public institutions are held accountable by freedom of information requests and public records of board of trustee meetings, but private ones are exempt from this level of oversight. If Columbia really wanted to assure students that endowment investments reflect University values, it would move more money into direct investments that are visible to students. The lack of transparency resulting from investment intermediaries has led to shocking discoveries about both Columbia’s and Barnard’s endowments. The surfacing of Columbia’s and Barnard’s mysterious holdings last semester, paired with our own findings while investigating Columbia’s tax forms, lead us to believe these discoveries are just the tip of the iceberg. We identified questionable lines of Columbia’s 2014 990 tax form. For example, millions of dollars held in funds such as “Vectra Energy Drilling Fund” and “Canaan Resources Partners Drilling Fund.” While the names of these entities are clearly provocative, they are free from disclosing investment information. While Columbia committed to removing direct holdings from thermal coal investments in 2016, we have no way of knowing whether investment intermediaries like these are still invested. In this way, Columbia’s “divestments” could be merely moral grandstanding. This is also the mechanism by which Barnard’s indirect investment in Puerto Rican debt was obscured by an investment intermediary called Baupost Group. This was only recently revealed to President Beilock in a letter sent from Hedge Clippers, a hedge fund watchdog. As the letter notes, Baupost Group holds some $911 million in Puerto Rican debt and has called for austerity measures in the territory battered by Hurricane Maria. While various student groups on campus held fundraisers to help Puerto Rican survivors, Barnard’s administration indirectly profited from austerity measures imposed on the very same people. It is possible that Barnard did not know that Baupost Group bought the debt, because it was hidden from investors through a shell company, but the school can no longer plead ignorance. A representative from President Beilock’s office reaffirmed its stance on Baupost holdings, claiming, “[Baupost] has been engaged with other bondholders in conversations with the government and other creditors about restructuring Puerto Rico’s debt in the fairest possible way. We support these efforts.” The head of Baupost Group tried to defend its stance, claiming that the long term effects of debt forgiveness are worse for Puerto Ricans. This entirely misses the point. Our claim is simple: Our institutions should never be in the position of benefiting from austerity in Puerto Rico, nor should we foolishly trust profit-seeking hedge funds—which hid the fact that they bought the debt—to be fair. Just Monday, the Roosevelt Institute called on Barnard’s administration to divest from the Baupost Group and received support from its Student Government Association. Columbia, though not directly profiting from Puerto Rican debt, continues to encourage students to bank with Santander Bank, which underwrote $61.2 billion of Puerto Rican debt while controlling the governmental agency responsible for issuing bonds. This corrupt structure led to bond agreements like one in 2009 wherein Puerto Rico received only $139 million but was required to repay $730 million. As earth-conscious Columbia students mourn the extreme hurricane that intensified Puerto Rican strife, the financial institution that criminally quintupled Puerto Rican debt installs its ATMs in our student center. Following the release of the Paradise Papers in late October, the New York Times reported on blocker corporations, which are used to “avoid scrutiny of ventures involving fossil fuels or other issues that could set off campus controversy.” These blocker corporations avoid the unrelated business income tax, which applies a tax on income from activities separate from the functions of the university. This is specifically true of debt-leveraged investments from hedge funds. In order to avoid taxes on these investments, Columbia has created investment holdings in tax havens, saving hedge funds millions of dollars in taxes and leaving students in the dark. While we can glean some useful insights from publicly available documents, like the fact that Columbia’s endowment has $4.3 billion in investments in “Central America and the Caribbean” (p. 43) [read as Cayman Islands], we still do not know nearly enough to understand what we are supporting. Even in its public tax documents, Columbia hides its investments. There are 21 limited liability companies with the name CIM (Columbia Investment Management) listed as “investment holdings” on our IRS-990. Rather than showing where our investments go, Columbia created 21 LLCs to shield the investments. Why hide something if there’s nothing to hide? 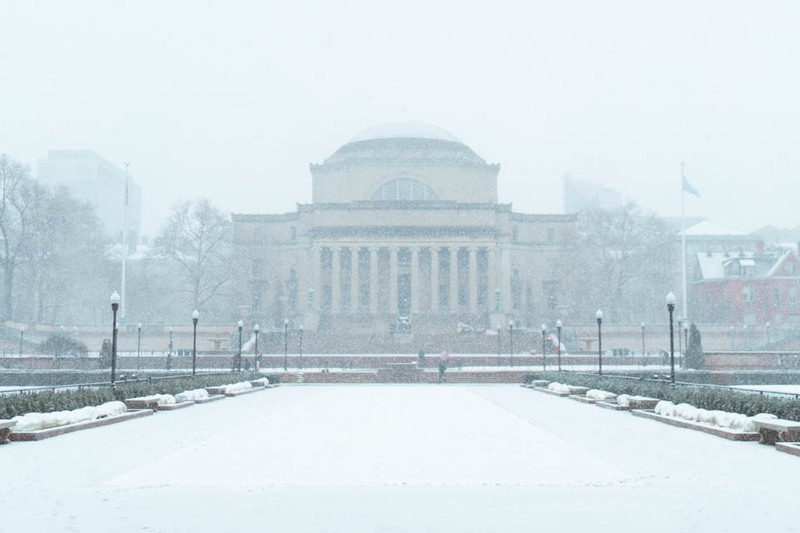 When students (including us) have requested transparency, Columbia has been unresponsive. The University stated it was its policy to not discuss investments when questioned about investments tied to Renaissance Technologies, the hedge fund formerly run by Breitbart benefactor Robert Mercer. When probed by the New York Times about its tax-avoiding 8 million shares investment (through an offshore fund) in a Brazilian mining company scrutinized for plans to build an environmentally disastrous pipeline, the university had no comment. 50 years ago Columbia tried to use its economic dominance to harm its less privileged neighbors. Students held administrators responsible and demanded that we change course, halting our encroachment into Morningside Park and winning more student representation through a University Senate. But today, the employment of increasingly complex investment instruments circumvents the power of students and even the Senate to uphold University values through ethical investment practices. As investments are concealed by funds-of-funds in faraway tax-dodging offshore accounts, the repercussive damages are concealed. Without more transparent reporting by the University, the exploitation and damage resulting from Columbia’s investments remain unknowable to students. Clearly, the University’s financial decisions have yet to reflect University values. Investment decisions are one of the crucial ways that universities can participate in public discourse and motivate progressive change. Ultimately, it is up to students to demand this change, but the first step to change is transparency. Ademali Sengal is a senior in Columbia College studying economics-political science. He is the national policy coordinator for the Roosevelt Institute Financialization Campaign. Stephanie Grove is a junior studying economics and human rights in Columbia College. She is the economic center director for the Roosevelt Institute, Columbia University chapter.